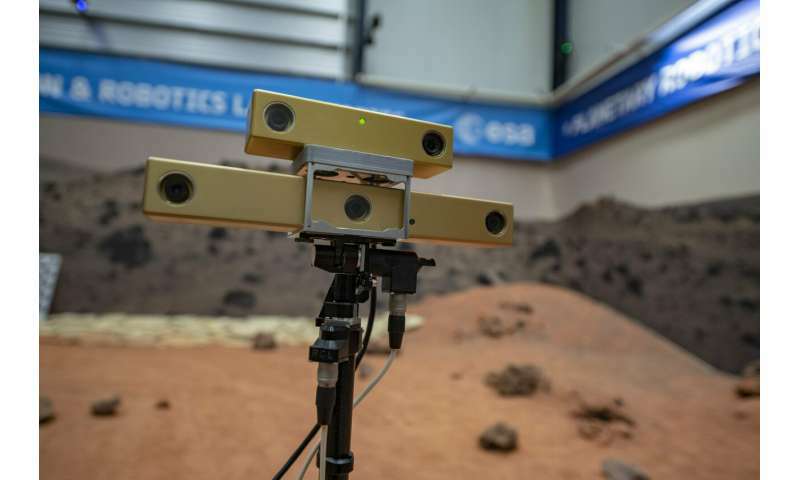 During 2017 ExoTeR was passed to ALTEC in Italy, the site of ExoMars's rover monitoring and control centre, to allow the control team to train with the advanced rover. 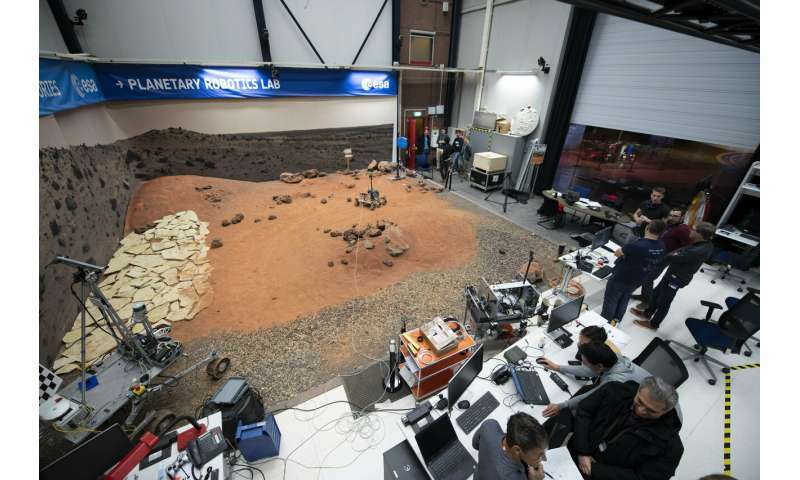 In December, the rover returned to ESTEC for an upgrade to its autonomous navigation algorithm. 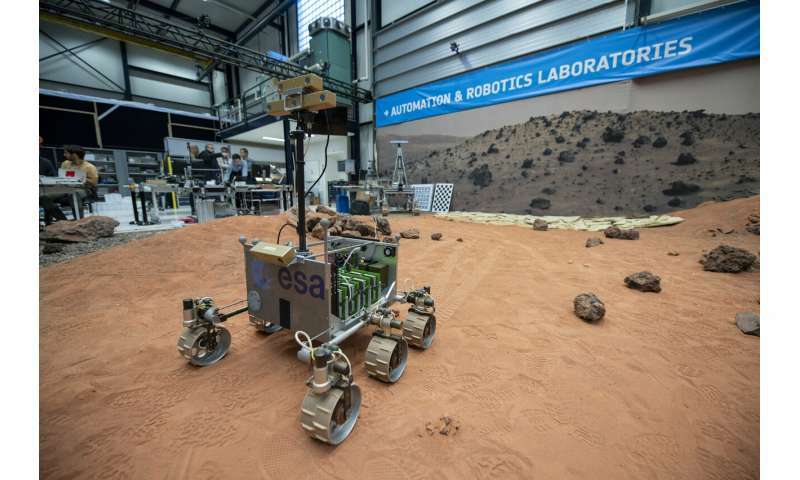 "The rover creates a digital map of its vicinity and calculates how best to reach that target point. Looking at the map it tries to place the rover in all these adjacent locations to work out if the rover would be safe in every one of these positions – or if the rocks are too high or terrain too steep. This vision-based motion tracking works better than simply measuring the turn of the rover's wheels because it allows controllers to take account of any wheel slippage – rovers on Mars have previously been caught in deep sand, and continued wheel turning might actually dig them in deeper.